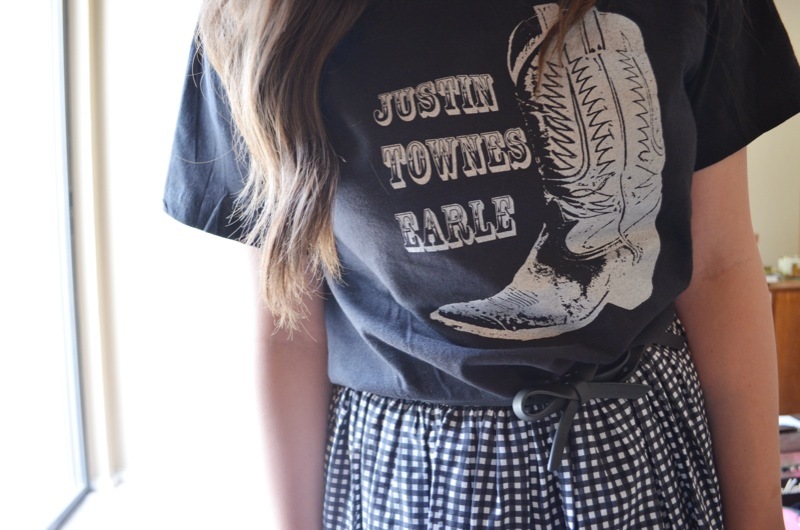 In honor of one of my favorite artists, Justin Townes Earle releasing his new album this week I decided to put this little outfit together. Chris and I both love music (he's actually a musician himself) so we try and go see as many live shows as possible. I wore this outfit out to the White Horse, which is a great little honky tonk bar on the east side here in Austin. This tshirt/skirt combo had the perfect amount of swing to it for sipping Lone Star's and dancing the night away.